Making sense of all this horse business! Whether you are a recreational rider or have your sights set on national competitions, the opportunities to gain knowledge and further the enjoyment of your horse are here at Pacific Training Center. Please feel free to contact us. We provide training and expertise in English, Western, Hunter Pleasure, Show Hack, Equitation and Working Western. We work with both Adult Amateur and Youth Exhibitors. If you're looking for a rewarding and enjoyable experience with your horse, then you've come to the right place! 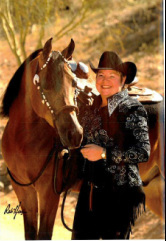 Karla Moffitt consistently brings well-trained and happy horses to the show arena. She is honest and straightforward with her clients and truly appreciates that showing horses should be a fun, not stressful, activity. Karla is a true horseman. She believes in instilling long-term knowledge in her client's horses, rather than relying on quick fixes and gimmicks to get them to the show arena. Karla recognizes that, like people, no two horses are the same. She enjoys the challenge of getting into each horse's head to figure out how they think and will learn best. With all the anemities it takes to train top notch show horses, TLC Stables also maintains a healthy enviroment and provides the ultimate in care and consideration to each individual horses needs. A full time facility manager lives on the property to oversee the horses' care and security. 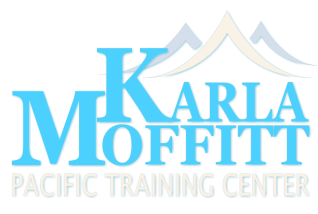 TLC is host to 3 professional trainers and clientele specializing in a wide variety of disciplines and breeds. Clients and horses benefit from the trainers' teamwork.